The suspect fled with an undisclosed amount of money, according to the Sheriff's Office. 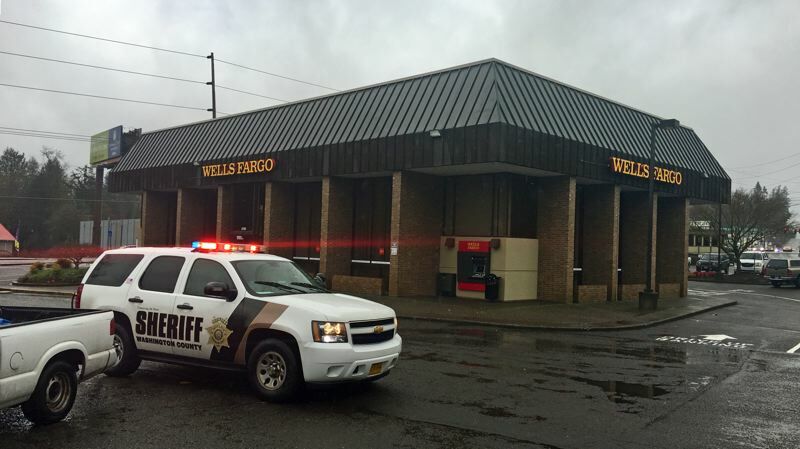 A man robbed the Wells Fargo Bank at 6785 S.W. Beaverton Hillsdale Highway in Raleigh Hills community around 10 a.m. Thursday, Jan. 11. The suspect fled with an undisclosed amount of cash. Witnesses reported that an unknown male entered the bank and demanded money while brandishing a knife. Washington County Sheriff's Office deputies and other local law enforcement agencies assisted in conducting a search of the area but the suspect was not located. The suspect is described as a Latino male adult, five-foot-four, wearing a black Oregon Beavers sweatshirt with the hood pulled over his head. Security footage of the incident was not immediately available. The Federal Bureau of Investigation has been notified of the incident.